Wrangler – the leader in western apparel and an iconic American denim maker – represents authenticity, hard work, independence, fit to purpose, and a straightforward sense of durability and function. This space embodies the activities and values at the heart of the core western consumers’ vitality by offering a complete experience with high impact visual interest and apparel presentations. 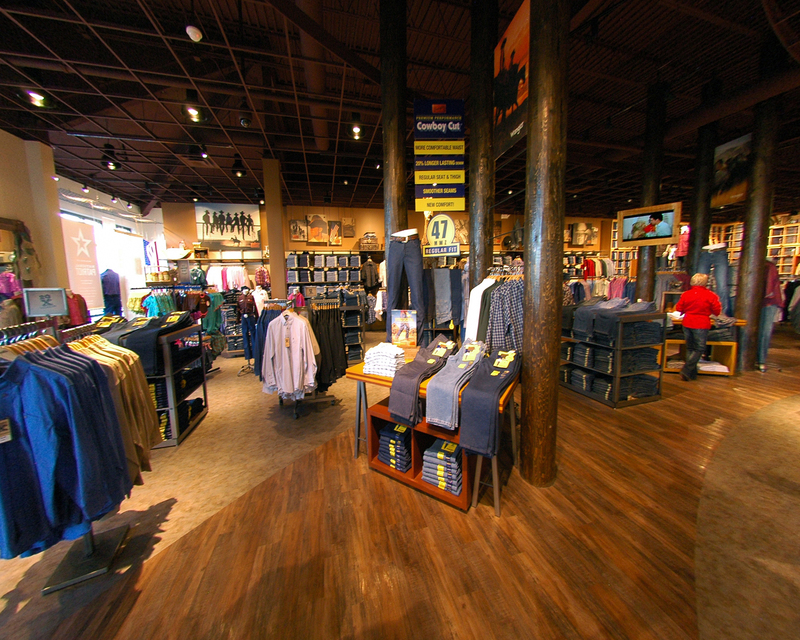 The store offers the entire range of Wrangler products including jeans, shirts, outerwear, belts, handbags and other accessories in an impressive and engaging atmosphere.